In 2006 ECTA (known as Ethnomedia then), our theatre group, staged our play “Ron” to a packed Rabindra Sadan audience. The experience was overwhelming as well as humbling at the same time. 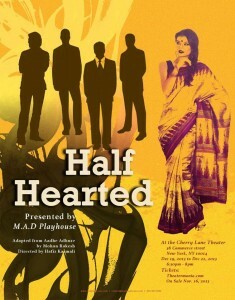 It was for the first time, we were telling our story of immigrant life to the Kolkata theatre audience. This encouraged us to do another show the following year of “Satyameva”. The audience loved it too. 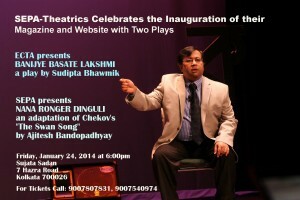 Ashok Mukhopadhyay of Theatre Workshop picked up the play and produced it as part of their repertoire. Since then, it has been a long time we staged any of our later plays in Kolkata. The sheer logistics and economics of the endeavor held us back. 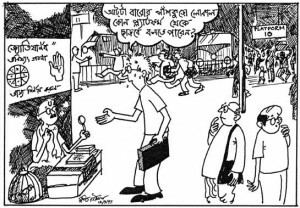 Now once again, ECTA is back in Kolkata with one of its latest productions – “Banijye Basate Lakhsmi” to be staged at the Sujata Sadan theatre (7 Hazra Road, Kolkata) at 6:00pm. The play is presented in Kolkata by SEPA and Theatrics (two organizations dedicated to promote education and culture through performing arts) on the occasion of the inauguration of their print and web magazine. 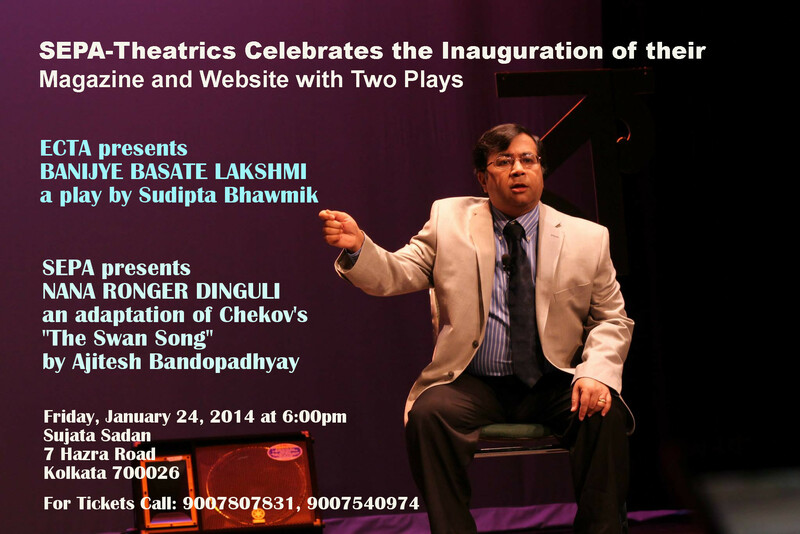 “Banijye Basate Lakshmi” is a one person play written and performed by yours truly and directed by Sankar Ghoshal. A humorous but poignant tale about a man’s conflict in deciding his objective in life, has touched the heart of each and every person who watched this one-person show. It has been staged few times in New Jersey and in Chicago and has received rave reviews. I hope our friends in Kolkata like it as much.